Intelligent fire alarm technology at your fingertips. Extensive range of commissioning and engineering functions. System line terminator included with all panels. 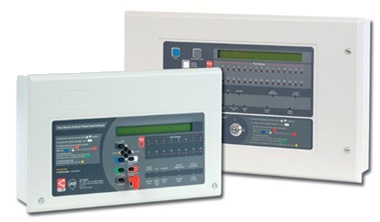 The two distinct ranges of Analogue Addressable Fire Alarm Panel is:-the XFP 1 to 2 loop panel and the ZFP 2 to 8 loop touchscreen controlled panel. XFP range of networkable analogue addressable fire panels offer high performance at a competitive price.Third-party certified to the latest versions of EN54 parts 2 &4 by the Loss Prevention Certification Board, the XFP is available in three different formats – 1 loop 16 zone, 1 loop 32 zone and 2 loop 32 zone. Up to eight XFP master panels (any variant) can be interconnected,making the range ideal for use in larger applications such as office blocks,shopping complexes and big industrial sites as well as in smaller,stand-alone applications due to its competitive price. Every once in a while a product comes along that lifts existing,respected technology to another level.ZFP is one such product.Created with the input of some of the world’s eading fire alarm and life safety experts, the ZFP is the powerful touchscreen controlled fire alarm panel that everyone’s een waiting for. 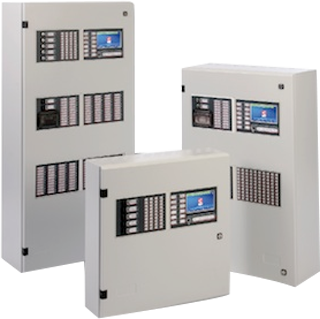 Designed and built in the UK, the panel can be configured to suit any application. From small one out,all out systems to large multi-loop networked systems with sophisticated cause and effects,the ZFP can handle them all – with ease.